Tymoshenko’s faction pulls out of the coalition talks. Ex-Prime Minister Yuliya Tymoshenko's Fatherland party has officially announced going into opposition. "I can announce a consolidated decision of our political force: we have decided that we will pull out of the hopeless negotiations on the establishment of a new coalition We are moving into a democratic, pro-European opposition," Tymoshenko told reporters in Lviv on 5 April. She said her party’s demands regarding the formation of a parliamentary coalition were “ignored”. 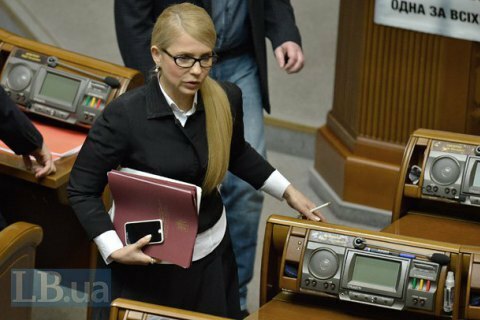 Tymoshenko said that Fatherland faction would support all the legislative initiatives that are important to the state. The politician said she believed that going into opposition was the only correct decision in the current social and economic conditions.